With this metal shelf, you can add a massive amount of extra storage to your already existing freestanding chrome shelving unit. It is designed to fit existing storage solutions of the same size bought from Chrome Shelving, and gives all customers the chance to gain extra storage in a cost effective way. 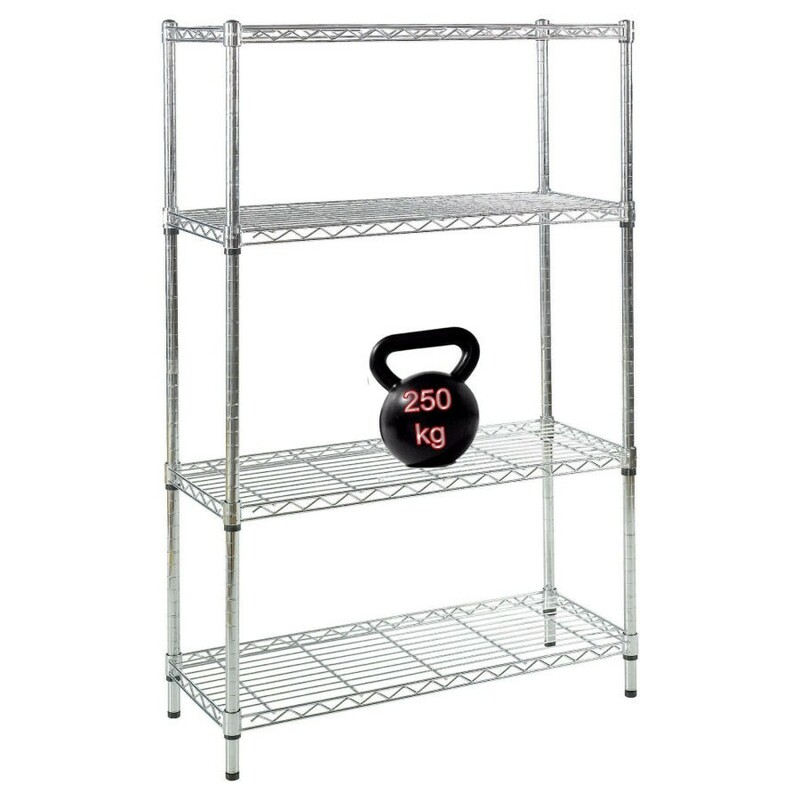 The shelf itself only weights 2kg, but despite this it is able to support up to 250kg of weight, providing the weight is distributed fairly across the shelf. 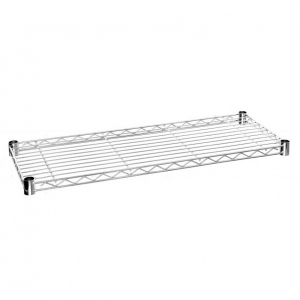 The shelf can be inserted into an existing chrome shelving unit, or you can buy extra poles and increase the height of the unit to your own specifications. 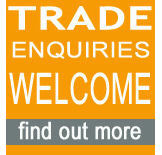 To see the poles we sell – as well as other storage shelves – please click here. 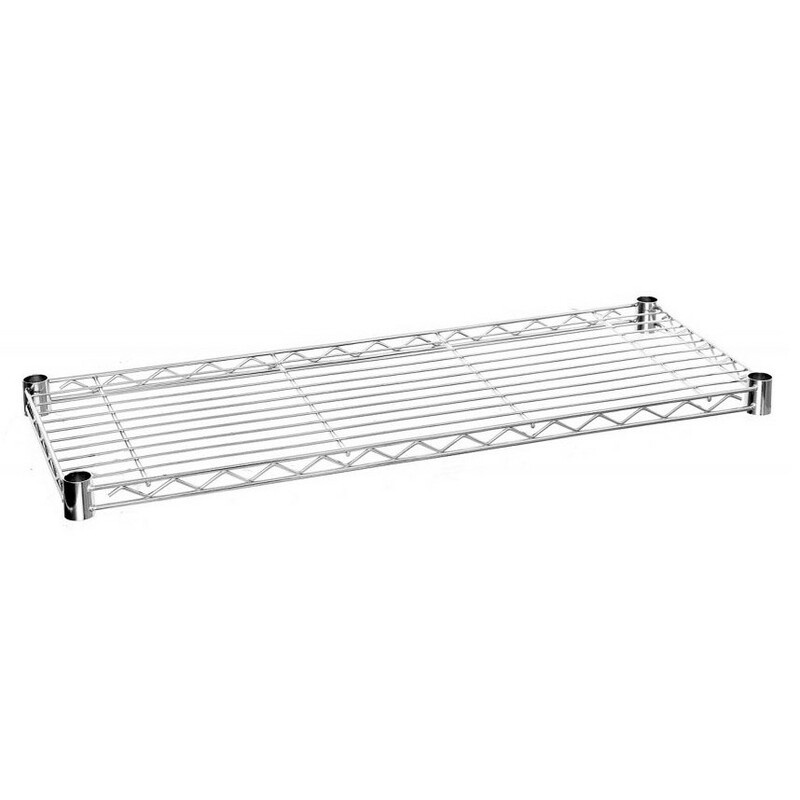 For those looking to add more storage than just one shelf, we also offer this shelf in a pack of four, which provides an even more cost effective way of increasing the amount of storage you have in your office, warehouse, kitchen or bathroom.